NJ Personal Injury Lawyer Serving Personal Injury, Workers’ Compensation & Auto Accident Clients Throughout NJ. Hi, I’m Larry Pollack, and I’ve been practicing personal injury and workers’ compensation law in North Jersey since 1987. What do I do now? What are my options? How do I get the medical treatment I need? Who will pay for my hospital bills? How will I get by if I’m unable to work? What time limits do I need to be concerned with? How do I protect my rights, and those of my family? So here you are, on my website, as you search for an attorney to help guide you through this difficult, even stressful situation. You searched for lawyers on the internet, and found dozens and dozens of them. All the lawyers promise they will do their very best for you, that they are experienced and have had many satisfied clients over the years. All of these attorneys advertising on the web seem virtually identical, indistinguishable from each other. So why choose me, Larry Pollack? Small Firms vs. Large Firms: While many personal injury lawyers work in large firms that handle thousands of cases each year, I’ve operated as a sole practitioner since 1987, with my practice limited to plaintiffs’ personal injury and workers’ compensation cases. This means your file will never be assigned to another, unfamiliar attorney—or worse, to a paralegal or secretary. Plus, I only accept a limited number of cases at any one time, which allows me to provide more personal attention to each client. Personal Injury Firms vs. General Practitioners: Many New Jersey law firms handle everything from wills and trusts to traffic accidents. At the Law Firm of Larry Pollack, Esq., I dedicate 100% of my practice to personal injury and workers’ compensation. While every case is different, there is an excellent chance that I have helped a client in the past with very similar circumstances to your own. That experience is often invaluable in litigating your case to achieve maximum results. No-Rush Consultations vs. “Fast Food” Consultations: At the gas station or the drive-thru, speed is great. When you’re meeting with a lawyer for the first time, though, details matter. In New Jersey, personal injury and workers’ compensation law are complicated, and many of the terms and legal concepts are totally unfamiliar to non-lawyers. You may need to go over them several times in detail with a patient, compassionate and experienced attorney, so that you understand exactly what you can expect from your case and what you will need to do. Most attorneys advertise free initial consultations, but many may spend less time with the new client than it would take to watch a sitcom rerun on TV. Worse still are the many law firms where the attorney may barely introduce himself or herself before passing the client off on a paralegal or even a secretary for the “intake.” That’s not how I work with clients. I want to make sure you understand the entire process. I want to answer all of your questions, and get answers from you to my questions, even before I’ve been retained. If that means a one-hour consultation or even a bit more, that’s fine with me. Contact my office today to schedule a consultation at my place or yours. If any of these situations sounds familiar, or if you were injured in another way, you need legal assistance from a skilled New Jersey personal injury attorney. As a New Jersey personal injury lawyer, I represent injured people and their families, including families dealt a blow by the wrongful death of a spouse, parent or child. My office is conveniently located in Clifton, NJ, near the NJ Turnpike, Garden State Parkway and Route 3. However, as a New Jersey personal injury attorney, I represent clients throughout the state of New Jersey and have appeared in the courts of Bergen, Essex, Hudson, Passaic, Morris, Sussex, Middlesex, Somerset and Union counties and clients in cities and towns such as Newark, Passaic, Clifton, Elizabeth, Lyndhurst, Paterson, Montclair, Teaneck and Fair Lawn. I also represent many individuals who live outside of New Jersey but who were injured in New Jersey or injured by New Jersey residents. I can meet with you evenings and on Sundays, by appointment. I can also arrange to meet with you at your home or in the hospital, if necessary (within 25 miles of my Clifton, NJ law office). There is no fee for an initial consultation and I handle most cases on a contingency basis. This means that my fee is calculated as a percentage of the amount you recover for your injuries. If you receive nothing, you need not worry about how you are going to pay your attorney. Contact my law office today without obligation, to speak with me personally and learn about your rights and the potential recovery for your injury. You have nothing to lose and everything to gain when you speak with my confidentially about your personal injury, workers’ compensation or product liability claim. I also have representatives standing by who speak Spanish (se habla Espanol). If you trust me to take on your case, I will return all of your calls personally and handle all of your case work myself. That’s why I call it ‘Personal Injury Law with a Personal Touch.’ No one fights harder than I do for the everyday people of New Jersey. – Larry Pollack, Esq. Injured in a car accident or on the job? 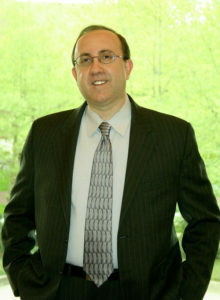 Contact New Jersey Personal Injury Lawyer Larry Pollack for the personal service you need and deserve.